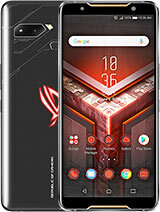 Does this phone come with 2gb ram on both the 8gb and 16gb model ? How is the gaming performance ? sanjay nagpure, 26 Sep 2014Whatsapp videos doesnt download in one touch???? 17time touched for 1.2mb video & many vid... moreJust took a video on another phone and sent it to my WhatsApp on ZenFone. It downloads and plays the video without any troubles. WhatsApp version is 2.11.378. The firmware is 1.18.40. Videos were sent from Sony Xperia Z2 and Oppo Find 7. Both were received without a problem. And sending video back to them also worked flawlessly. Whatsapp videos doesnt download in one touch???? 17time touched for 1.2mb video & many videos downloding problem in whatsapp only.it shows unable to download even i refreshed it completely after all same problem pleeeeeese solve anyone????? some users says very high radiation is in it? Krishngsmarena, 26 Sep 2014Hi friends, Anyone explain me about the quality of audio and brightness on zenfone5Brightness - Superb! 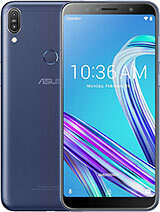 Else go to Asus.com site, choose Phones at the top, then ZenFone 5 A500/501CG, then Support, then Download, and in the list select Android or Other, then download the file for your specific version of SKU. Extract it to a folder on say desktop of your computer. Do NOT extract further. Just this ZIP file into another ZIP file that's inside of it, and has USER in the name. Connect the phone to your computer with USB cable and make sure your battery is 50+% full. Copy the file you unzipped (the one with "user" in the name) to the root folder of the internal storage of the phone. You can find the phone in My Computer/Computer, and double click on it shows Internal Storage and SD Card (if you have any). Root means the first folder that opens when you double click the Internal Storage - not any subfolder of it. Once the file has copied completely, unplug the USB cable and you should see a triangle with exclamation mark at the top notification bar. Swipe it down and tap on the notification that a new system update is available. Tap to install it now, and wait for the process to complete. The phone will reboot twice in the process, ending with optimisation of the apps, and finally that you have successfully updated the system. AnonD-304245, 26 Sep 2014In my system update shows build number 1.15.40..... Do u want me to update again for OTG support?Update to 1.16.40 or newer for OTG support. If you want to skip installing each update, you can just download full 1.18.40 from Asus website and install that manually. That will bring you all the updates and bug fixes. You'll still need to update apps though. ZEN, 26 Sep 2014Hallo Tomazz, Do you have any idea of release of snapdragon Qualcomm processor version in India ?I do not know, sorry. It may be possible to get this answer from Flipkart. 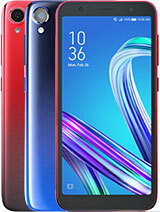 You can buy this phone from abroad, but with LTE version you need to be very careful whether your telecom's frequency is supported by LTE modem. Price of it (16 GB, 2 GB RAM, QuadCore Snapdragon 1.2 GHz) should be slightly below 300 USD. If any of your friends is coming around Bangkok, I can send one back to you over them. Either as factory sealed box, or open in front of them and tested on 4G - but obviously I can only test 2100 MHz Thai 4G, no idea what your telecoms are using. AnonD-311175, 23 Sep 2014Is it possible to make 3g video call?use third party app for making video call. like skype. AnonD-289214, 23 Sep 2014One of my friends says that his asus zenfone 5 doesn't Read/Write SD Card. Is it true ? Shou... moreIt does read SD card. 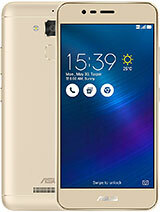 suresh, 24 Sep 2014Sir any one help me is the asus zenfone5 has a 3g Videocalling facility: Im not able to get... moresuresh use third party apps like skype for making video calls. Naidu, 24 Sep 2014My facebook app doesnt seem to be working well and its not the latest version of it. 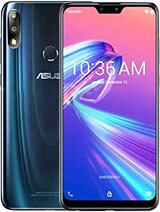 Is there ... moreupdate your phone with latest FOTA updates provided by ASUS. It will be fine thn. kittu, 24 Sep 2014I want to buy mobile. 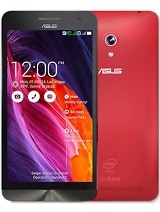 Please help me.which one is better.. 1) ASUS Zenfone 5 2) Micromax Nit... moreGo for Zenfone 5. 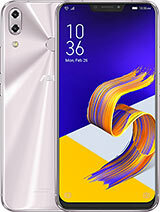 Given the specifications like 2 GB of RAM, 8 mega pixel camera with Pixel master technology, Intel Atom Processor, Gorilla glass 3, HD screen with with 294 ppi pixel density, it gives a premium experience of luxury at Rs 9,999 makes it most affordable premium phone. 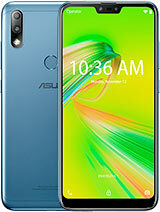 AnonD-289600, 26 Sep 2014settings> about > software update > build number = asus_tooj_ww_user_"1.18.40...... moreIn my system update shows build number 1.15.40..... Do u want me to update again for OTG support? 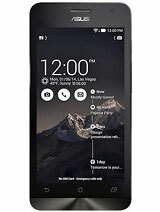 Do you have any idea of release of snapdragon Qualcomm processor version in India ?